How to upload photos to google photos from iPhone? We take pictures like never before, so it’s also harder to organize and save photos. The problem has been resolved with a gallery app called Google Photos. Google Photo helps you in easily controlling all your movies and photos. The overview is created via a new, simplified interface, where you can quickly find the desired image. It’s now happening by two-finger zoom, which lets you zoom in and out of the day, month or even anniversary. It takes lea than a minute to upload photos to Google Photos. So now use your iPhone to backup your photos. Many people find it time-consuming to sort and organize photo albums. This problem promises Google that it will solve for you by automatically scanning and indexing your photos content. 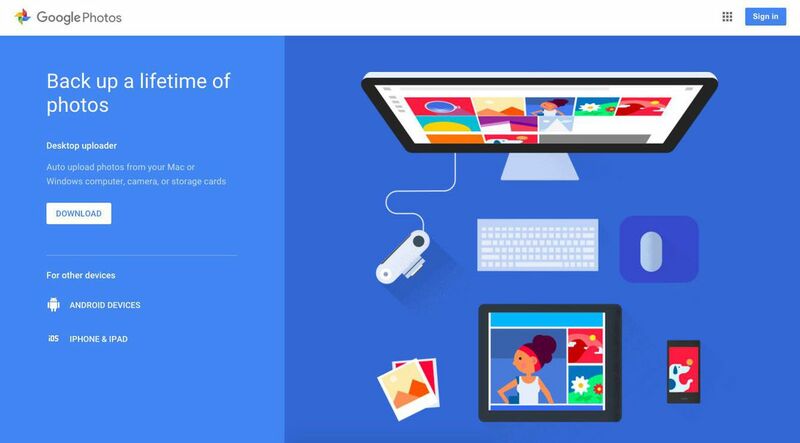 Google Photos allows users to backup photos and videos to cloud, and more importantly, it provides unlimited free storage space for users to save photos and videos, and it also offers an assistant to help users manage their stored files. After downloading on Google Photos on your iPhone, tap to start using Google Photos on iPhone. Once the photos are uploaded on Google Photos, you can delete them from your iPhone to free up memory. Open the Google Photos application on your iPhone. Login to your Google Account. Click on Menu at the top and then click on “Settings”. Click on “Back up & sync” option and then click on “On” to enable it. Open the iOS settings app-> Privacy-> Photos-> Turn on Google Photos.